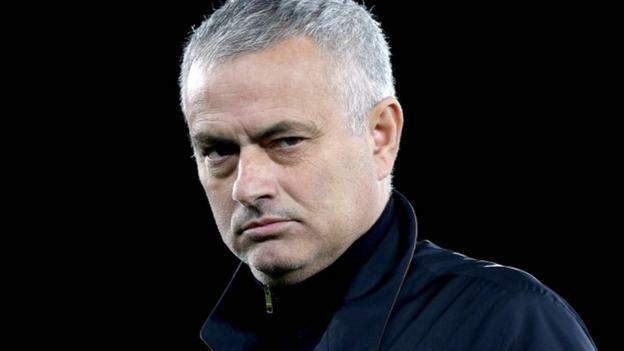 Manchester United boss Jose Mourinho says his team are “far” from being built in his own image as he prepares to face Liverpool at Anfield on Sunday. United are 16 points behind leaders Liverpool, having won just one of their previous five Premier League games. Mourinho, who took over as manager in May 2016, conceded: “We have doubts about everything. Mourinho won the EFL Cup and Europa League in his first season in charge at Old Trafford. Since then, the team’s style has been questioned and there have been criticisms of his record signing Paul Pogba, who cost £89m and Romelu Lukaku, who cost £73m. Liverpool manager Jurgen Klopp has been praised for the way in which his team is playing, but they are yet to win a trophy under the German, who took over in October 2015. However, he guided them to the 2016 League Cup and Europa League final, and last season’s Champions League final, where Liverpool lost 3-1 to Real Madrid. When asked if the amount of money his north-west rivals had spent last season was the difference between the two teams, Mourinho replied: “It’s not just about spending money and reinforcing the squad, a football team is more than that. Asked if winning trophies matter, Mourinho said: “I think trophies matter, it matters, especially when you have the potential to fight for trophies and especially when you clearly say the objective is to win the trophy.